Each summer, my husband and I try to get to a national park we’ve never been to before (our goal is to try to get to as many of the natural national parks as we can). For Summer 2018, I let my husband select the park we would visit. He said he really wanted to go to Grand Canyon National Park. Although I’ve been to the Grand Canyon a few times in the past, I was thrilled to be able to share with him his first encounter with this geologic wonder. This post will not go over the geology of the Canyon, or share our disappointment in seeing the smoke and evening glow from the fires along the North Rim, or our excitement at seeing two California condors flying in the Canyon. Instead, I’d like to share an interesting piece of history about the early female tour guides. 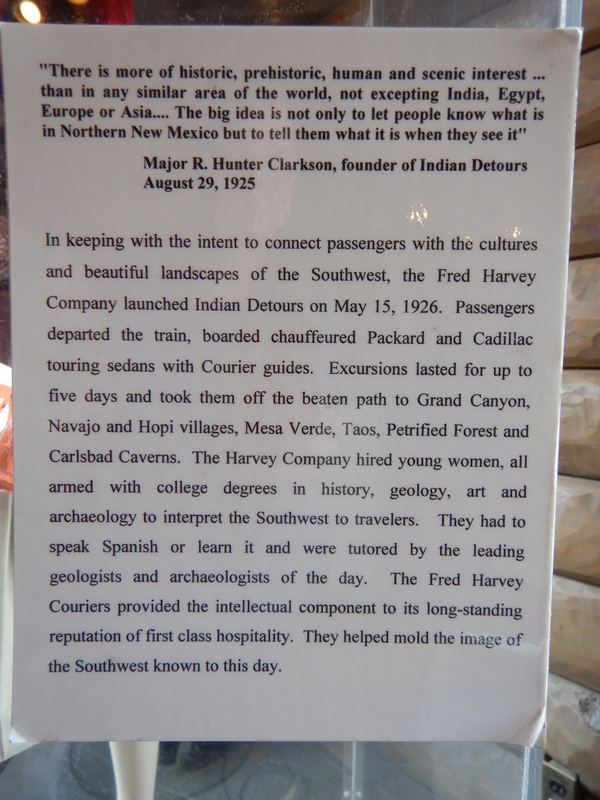 The Fred Harvey Company was a hospitality service company founded in 1876 that set up a chair of hotels, restaurants, and other services along railway routes in the western United States. The company was known for their “Harvey Girls,” young women that were trained and of “good character” to serve as waitresses at the Harvey restaurants. There was even a movie musical made in 1946 starring Judy Garland and Angela Lansbury titled Harvey Girls. I was excited to read that in 1926, women with geology degrees were hired to lead tours and be interpreters of the southwest. This was the uniform they wore. Yay to the women geologists that worked as Fred Harvey Couriers! One other interesting historical piece I learned… when the stone wall was being constructed along the South Rim, one of the masons was in love with one of the Harvey Girls (keep in mind all Harvey Girls were required to be single). To get her attention, this mason carved a heart-shaped rock and placed it in the wall. Amazingly, I was able to find the heart! 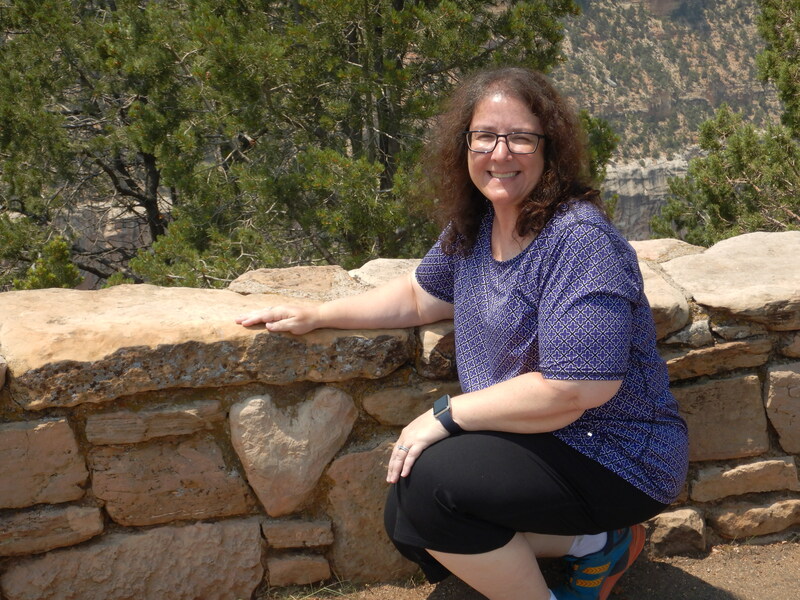 I think the heart does a great job capturing my own love for the Grand Canyon and respect for the women geologists that served as Harvey Girl interpreters.